Book our Taco Truck for your next private event! Wow your guests with hot and fresh tacos made and served on your grounds. We provide a wide variety of food options and custom tailor your requests to accommodate your needs. Choose up to 3 meats served with rice, beans and salsas. Other sides and classic entrees are available for purchase. All events are planned with custom menus. Taco truck will arrive, set up and serve for approximately 2-3 hours. All sales are subject to a 5.1% sales tax and 15% service charge. 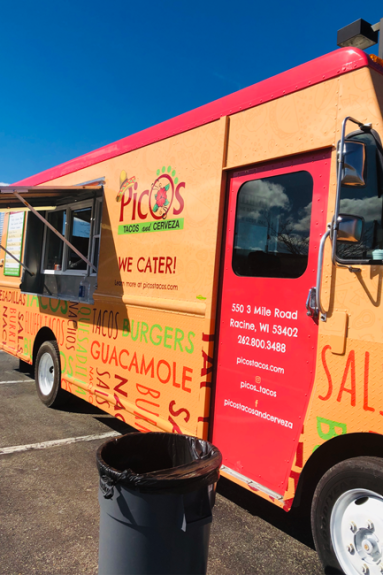 Please contact angela@picos-Tacos.com with any questions or bookings.